Epilepsy affects 50 million people worldwide, but in a third of these cases, medication cannot keep seizures from occurring. 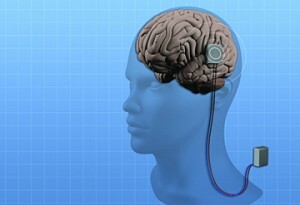 One solution is to shoot a short pulse of electricity to the brain to stamp out the seizure just as it begins to erupt. But brain implants designed to do this have run into a stubborn problem: too many false alarms, triggering unneeded treatment. To solve this, a Johns Hopkins biomedical engineer has devised new seizure detection software that, in early testing, significantly cuts the number of unneeded pulses of current that an epilepsy patient would receive. Her new software was tested on real-time brain activity recordings collected from four patients with drug-resistant epilepsy who experienced seizures while being monitored. In a study published recently in the journal Epilepsy & Behavior, Sarma’s team reported that its system yielded superior results, including flawless detection of actual seizures and up to 80 percent fewer alarms when a seizure was not occurring. Although the testing was not conducted on patients in a clinical setting, the results were promising. “We’re making great progress in developing software that is sensitive enough to detect imminent seizures without setting off a large number of false alarms,” she said. Further fine-tuning is under way, using brain recordings from more than 100 epilepsy patients at Johns Hopkins Hospital, where several epilepsy physicians have joined in the research. Sarma said that within two to four years she hopes to see her system incorporated into a brain implant that can be tested on people with drug-resistant epilepsy. In trying to solve the seizure false-alarm problem, Sarma drew on her training in electrical engineering, particularly a discipline called control theory. “We decided to start with the origin of the signal in the brain,” she said. Sarma’s team compared electrical data from the brains of epilepsy patients before, during and after seizures. The researchers looked at how this activity changed over time, particularly when a seizure began. “We wanted to figure out when would be the optimal time to step in with treatment to stop the seizure,” she said. The team members “trained” their system to look for that moment without setting off false alarms. Ideally, Sarma would someday like to see her software embedded in a microchip that would continually check electrical activity in the brain and launch electrical stimulation whenever a seizure is just beginning to form. The device would operate as a closed loop system, resembling a thermostat that keeps a room’s temperature at a constant, comfortable level. Sarma’s interest in brain disorders developed relatively late in her education. She earned a bachelor’s degree from Cornell University in electrical engineering, then master’s and doctoral degrees at MIT, both in electrical engineering and computer science. During her doctoral studies, however, she pursued a minor in neuroscience. For a class, she conducted a case study of her aunt, who had developed Parkinson’s disease at age 29 and had trouble managing it with medication. Watching her aunt’s condition was an emotionally draining experience, Sarma said, and she wondered if anything in her own training could help. “I really wanted to understand the neurobiological circuitry of this disease,” she said. That led Sarma to learn more about deep brain stimulation—the use of electric pulses to treat brain disorders such as Parkinson’s and epilepsy. She completed a postdoctoral fellowship in MIT’s Brain and Cognitive Sciences Department and became a neuroscience research associate affiliated with Massachusetts General Hospital and Harvard Medical School. In 2009, Sarma joined the faculty of Johns Hopkins’ Department of Biomedical Engineering, which is shared by the School of Medicine and the Whiting School of Engineering. She also is a core faculty member in the university’s Institute for Computational Medicine. In 2011, Sarma was named a recipient of a Faculty Early Career Development Award from the National Science Foundation. Her team’s new system for seizure detection with reduced false alarms is protected by a patent obtained through the Johns Hopkins Technology Transfer office. Lead author of the Epilepsy & Behavior journal article was Sabato Santaniello, a postdoctoral fellow in Sarma’s lab. Along with Sarma, co-authors were Samuel P. Burns of the Johns Hopkins Department of Biomedical Engineering; Alexandra J. Golby of Brigham and Women’s Hospital in Boston; Jedediah M. Singer of Children Hospital, Boston; and William S. Anderson of the Johns Hopkins Department of Neurosurgery. Video and color photo of Prof. Sarma available; contact Phil Sneiderman.